Project Perfect Mod :: View topic - What EA needs to do to make C&C Rivals become a good game. What EA needs to do to make C&C Rivals become a good game. Posted: Sun Jun 10, 2018 7:16 am Post subject: What EA needs to do to make C&C Rivals become a good game. Subject description: The technology of peace must be redesigned... through power! Since the announcement of Command & Conquer: Rivals, the next mobile game for Android with the Command and Conquer brand placed on it, the community reception was bad. And it isn't just here. You can see similar reactions at CNCNZ.com, Twitter, Reddit and so many other sites that allowed users to post comments. 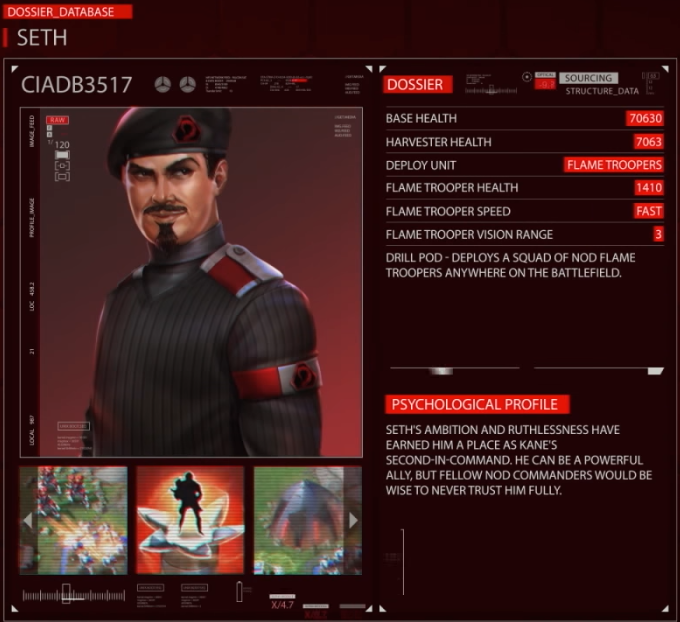 As a site whose majority of the visitors are fans of the Command & Conquer franchise, or at least some of its games, such bad reputation also affect us negatively, since the upcoming public interest on sites that cover Command & Conquer tends to reduce as time passes. So, from a Command & Conquer fan perspective, I'll post here some of the critical matters of this game and what could be improved. Honestly, I doubt that anyone who is working on this game will ever read it or take it into consideration. But I guess that's a way to start this kind of discussion and make it louder. 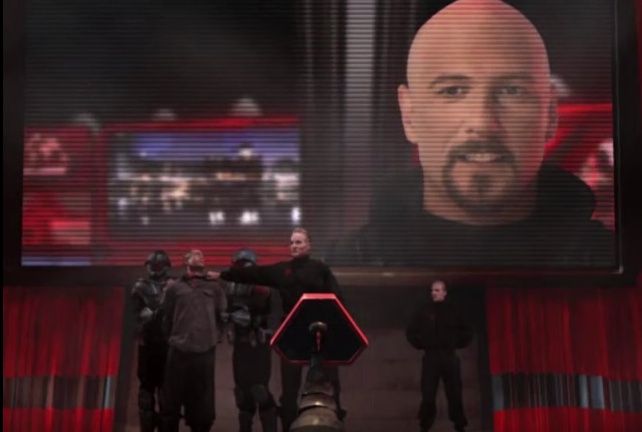 The Command & Conquer franchise holds a storyline (or would be 3?). Characters like Kane, James Solomon or Seth only makes sense or get some charisma due to their story or participation on the past games. Tiberium is something that only makes sense if you look back at its definition on the first Command & Conquer game and its interaction with everything that happens in the franchise. And this is something fans care a lot. Even if you create a game with no storyline, the designers and artists must set it at some point of the storyline, so that the units, characters, gameplay mechanisms and graphics could actually make sense in that story. At least, this is what is expected, although we have seen some previous plot holes on Command & Conquer 3, 4 and Tiberian Alliances. 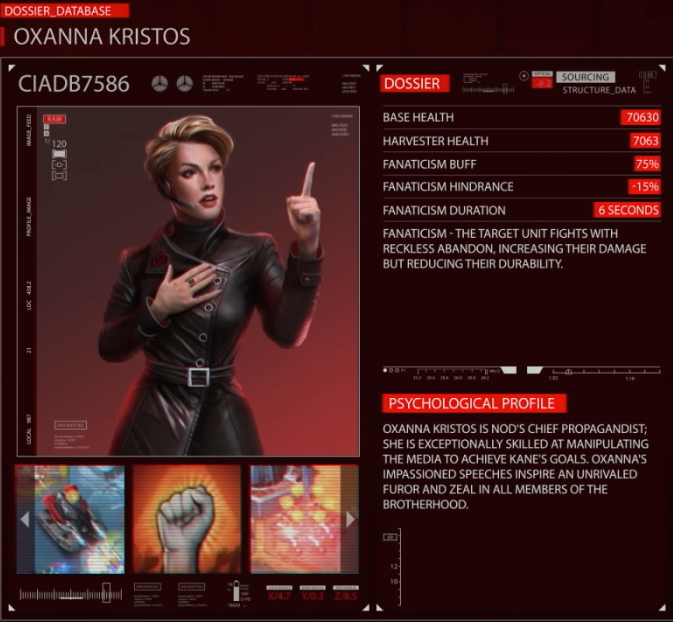 Command & Conquer Rivals's position at the storyline at all is not clearly defined. By the look of the units, it seems to holds somewhere between Tiberian Dawn and Tiberian Sun, closer to Tiberian Sun. Most of the units are from Tiberian Dawn and some are from Tiberian Sun, such as the Wolverine and the laser cycles. The first problem is that Seth is alive... 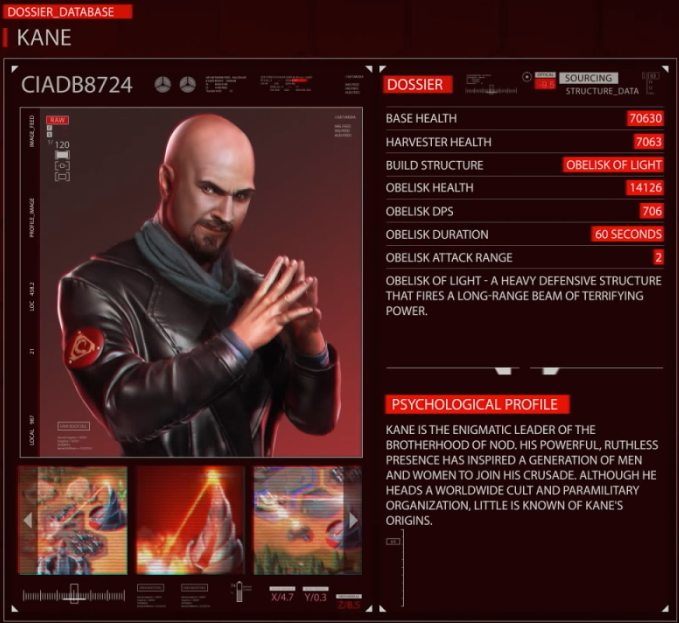 In Tiberian Dawn, he was killed by Kane back in the 90's. Worse than that, in this game he can fight alongside with Oxanna (who was young in 2030 and not a 60+ years old woman). 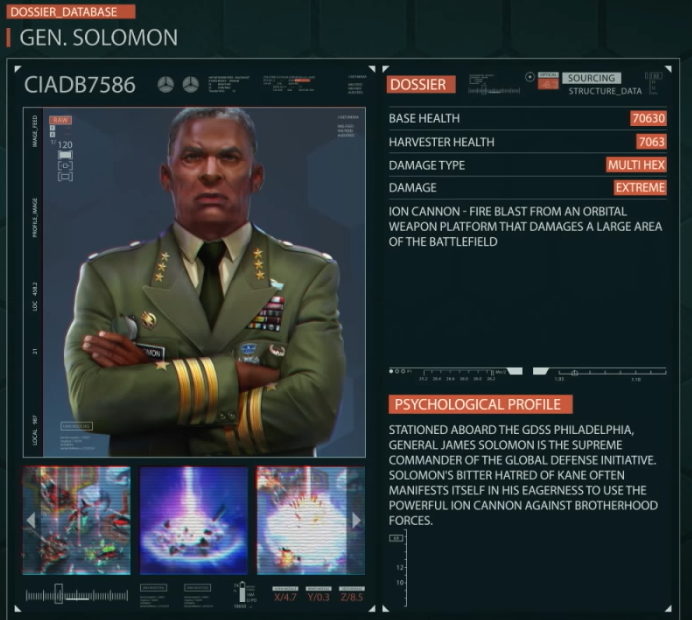 James Solomon did not lead GDI (or was that old) when Seth was alive, although he did lead it in Tiberian Sun's second Tiberium War. But that's just the start. The other Nod general is no one else than Kane. Kane is the messiah. He is not simply a general. He is the God of the Brotherhood of Nod and whoever is against him is simply not Nod. Kane lives in death. Not Seth, nor Oxanna and neither Solomon lives in death. You can't place Kane side by side with other Nod characters. It is heresy! He is special. So, the main problem here is Seth and Kane as generals. Seth shouldn't be in this game at all. In GDI, Solomon is the leader, ok... but placing him in the same level as the other two is also as bad as what is being done with Kane. There is also an art style incoherence, if the game is set anywhere near Tiberian Sun. The pictures below show Kane and a GDI Light Infantry, which is grotesquely different than any infantry shown above. Another important art style matter is how the map is bright and colorful for a game set near the second tiberium war. 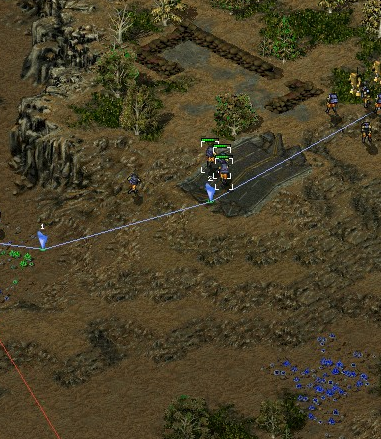 There are too much light green grass if you compare it with Tiberian Sun maps, like in the picture below. There are at least two main problem when we create games for mobile phones: Small screen and touchscreen interface. Big screen size is something crucial for a proper RTS experience. You need a proper view of your battlefield and some space for accessing build options. And, with the touchscreen, you also need your selectable units and icons to have a bigger size... or at least enough big to prevent you from selecting the wrong unit or option by mistake. It is a hard problem to deal with and one of the most expected solutions is to prevent scrolling, since a minimap would also take too much space and scrolling the map would be a tremendous trouble for the user. If that isn't enough, it could also make the user issue undesired commands for units when its purpose is simply to scroll the map. Also, if you need to scroll to issue orders, that would be even more problematic. However, if you cut map scrolling, you'll have terrible small maps with few or almost no strategic features. That has made the game looks very, very poor strategy wise and also helps the game to become repetitive, boring and have a low replayability. The best solution for RTS games on mobile games would be a virtual reality (VR) approach and a joystick to issue commands, even if that may reduce the public of the game in a lower term, since VR kits aren't popular yet. Using the eye to issue commands instead of a joystick could add delays when the user issue orders or force false positives, which could be irritating for the user. Scrolling becomes something very intuitive in this case. The mobile phone gyroscope in this case works well for scrolling and the center of the view works as the mouse pointer. If VR is not an option, things get far more complicated and even if scrolling is not cut from the game, maps will have to be smaller than in a VR counterpart. The most intuitive solution is a specific button where the user would press to scroll that doesn't unselect the currently selected unit. The other alternatives would be gyroscope (which would be annoying sometimes and limited, since you don't want the user looking at the back of the phone) and eye tracking with the front camera (expensive computationally speaking and problematic if an external event distracts the user or if a unit is in the border of the screen). If that isn't enough, as I said before touchscreen forces selectable units and icons to be big, which reduces the amount of buildable units from the game, making its experience poorer as well. While the small screen of the mobile phone and touchscreen may force the RTS mechanisms of the game to be much weaker than a counter part PC game or even a VR game, Command & Conquer Rivals seems to pass the impression that it could be a little bit more elaborated in some perspectives. 1) Economy: The game has harvesters that explores a single tiberium field for a long time before moving to the next one. It doesn't return to the main base or a refinery to unload it. And that's all the economy of the game as both players receive a steady and very similar flow of money. The game offers the option of the player to buy more harvesters. Honestly... this is not enough. There is a space for tech buildings that could be controlled by the closest military unit around. One single oil derrick around the center of the map would add much more depth to the game... if the harvesters require to unload its harvested tiberium back in the base. So, that would give the players a reason to fight for the oil derrick and manage forces between the oil derrick and the missile launcher, although it is obvious that the missile launcher is still more important. Also, there could be explosive blue tiberium near the middle of the map as well. 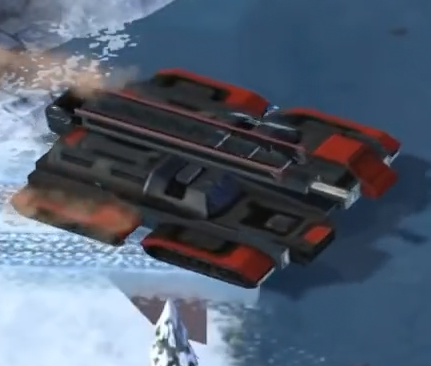 2) Lack of Map Details: If the map of Command & Conquer Rivals seen in the matchup from E3 was submitted to any of our map competitions, it would certainly get one of the worse ratings there. The reason is that the floor is the same and there are just few stones and random tiberium patches in it. The developers could add more ground types with different effects for infantry and units as well as other smudges, terrain objects, overlays, fences... More dynamic objects that could favor certain unit types over others, specially if the game reaches the mammoth tank spamming spree mode. 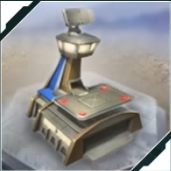 3) Traditional Command & Conquer mechanisms such as building garrisoning and infantry crushing: And talking about map details, what about a garrisonable building at the center of the map and some civilian details? That and the typical Command & Conquer infantry crushing, at least for bigger vehicles like Mammoth Tank? Some mechanisms are too good to be dropped and C&C fans feel identified with them. It is a pitty that newer C&C games tends to drop them. 4) Potential Dynamic Events: Has anyone thought about Ion Storms? Or other events that may cause distractions for the battle? Those things allow the game to be less repetitive and less predictable. A match must be won exclusively by merit. Nobody enjoys a pay to win game. And no one enjoys a game that, if you start playing it late, you would be under a great disadvantage against another player. While we understand that developers want to earn money with microtransactions, DLCs and related things, games must be designed to make sure these things won't ruin them. 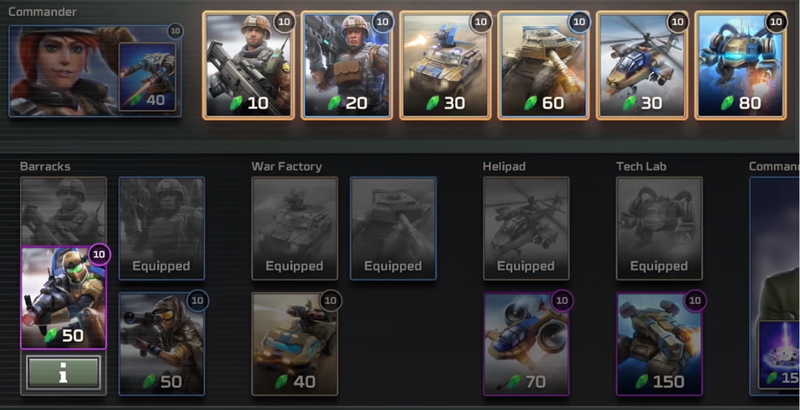 Unfortunately, it seems that Command & Conquer: Rivals is marked to commit some critical mistakes with microtransactions. The main thing to pay attention when designing microtransactions, paid DLCs and even a player progression system is the balance. If these things affect balance, the game life span will be very weak and its tendency is to fade away and shut down. In short: it kills the games and burns its remains with fire. Does anyone think that Command & Conquer 4 was ever popular? Definitely one of the things that ruined it was an unbalanced progression system. If you start the game from scratch now and play against other players, you'll be playing against players whose MCV is able to obliterate you alone at the start of the game and this is not fair, of course. So, bad items for microtransactions/paid DLCs/progression bonus are items that affect ballance such as units, factions, exclusive buildings, weapons and boosters for units/buildings and items to prevent other items from expiring, since items shouldn't expire under any circumstances. Good items for microtransactions/paid DLCs/progression bonus are game content that unlocks new experiences such as new game modes, maps, challenges, single player campaign, etc. If the game has microtransactions, it is extremely important to allow the players to choose which ones they want to acquire. So, users must not solely rely on loot boxes under any circumstances. Both single player and multiplayer experience are important in different ways. Single player campaigns helps the user to immerse in the universe of the game. Skirmish games allows users to train their skills or learn more about the game before facing bigger challenges such as the online multiplayer. So far, it looks like there will be no campaigns in Rivals, while the single player and multiplayer have a strong tendency to have a repetitive experience that may lead most users to boredom in a low term. The best way to prevent it from happening is to develop different maps, new game modes with objectives that may vary and constantly supply new content for the users. And that's it. If you managed to read everything, congratulations. I hope that it covers most of the complaints I've seen in the community. If there is something that I forgot to talk about, please, post in the replies, so I can update this post as soon as possible. You just put far more thought into it than EA has so far. is deliberately made to look like TS boxart background. This game clearly isn't set in any time within the C&C universe in particular: while it might seem that this game is set between TD and TS, I'd argue that it actually has more elements from Tiberium Wars. I imagine that the devs just had an idea for a mobile game, made a concept with placeholder graphics and when they were given the green-light to finish it, it was decided to slap some C&C skins onto it. This is just some random mobile game that was given a C&C skin because the game happens to have strategy elements and it's cheaper and quicker to use graphics from (or based on) an existing franchise that EA already owns (C&C in this case) than it is to create the graphics (as well as any hint of a story or universe) entirely from scratch. While having microtransactions that give players an advantage (and essentially turn it into a Pay2Win game) are clearly shunned by western PC and console gamers (EA finally found this out the hard way with Battlefront 2), such microtransactions are pretty much the norm for popular mobile games. Mobile game devs almost have to be saints to leave such P2W elements (or rather, pay instead of grinding for days) out of their games (and I'm sure nobody expects EA to ever behave like a saint). Honestly I think this game looks pretty good. Looks likes a sped up version of Tiberian Twilight but done a little bit better.. Last game I said looked good was Lawbreakers so I can't take my opinion seriously anymore. I'm not gonna nit pick their game so didn't bother reading banshees original post. im sure yo ucant use engi apc rushes or carryall a disruptor to the enemy mcv lol. oh well. i may play this. doesn't look any worse than the garbage i been playing lately. ya they are gonna free to play money whore it. like they wanted to do with that new generals f2p game with the different generals abilities.